Gyms in Pokémon Go can be found at real world locations and appear on the Map (very similar to Pokestops). A Gym can either be empty or it can be owned by one of three teams. Trainers will battle Pokemon at these Gyms in competition for ownership and Prestige. To occupy an unoccupied Gym, a player must simply place one of their Pokemon in that Gym to take control of it. Defeating Pokémon at an owned Gym enough times will transfer control of that Gym to the winner's Team when a Gym reaches zero Prestige. Upon visiting a Gym for the first time, a player will be asked to join one of the three Teams (Red, Blue or Yellow). 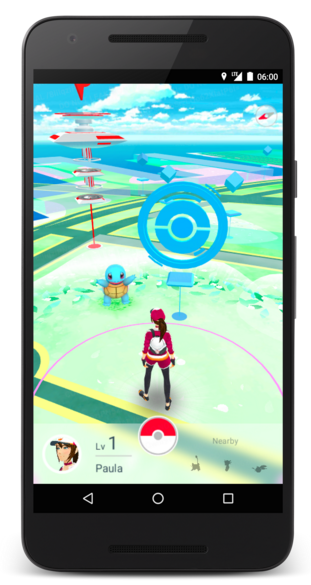 Once a team is chosen by a player, he or she will then be able to interact with all nearby Gyms. Players who have chosen a team will gain access to all Gyms controlled by their team. Traveling to a friendly/owned Gym will allow players to either place a Pokémon to defend the Gym or they can Train their Pokémon there. Players can Battle friendly Pokémon at Gyms to gain Trainer XP and help increase the Level of the Gym. Trainers will gain Experience Points (XP) for each Pokémon defeated. Through travel, players will also find Team Owned Gyms. To take control of these Gyms, players must send their Pokémon into battle against the defending Gym owner’s Pokémon. Once a battle is won, and if the Gym reaches zero Prestige that player can take control of that particular Gym for his or her Team. Afterwards, that Gym will be able to be challenged by players on the other two teams. The defending team must work together to build up a strong Defense. As players travel throughout the world they will come across Gyms not owned by any team. A player may claim an unowned Gym by simply stationing one of their captured Pokémon there. Once assigned, that Pokémon will defend that specific Gym against incoming attacks from players of the other two teams. Each player can place only one defending Pokémon at any one Gym. 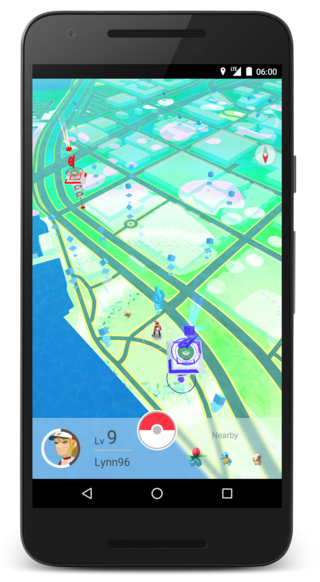 - Gyms will have Levels and gain Prestige as they Level Up. - When a Gym gains prestige, more defensive Pokémon slots will unlock in that Gym. - More defensive Pokémon slots will increase the potential defensive capacity of Gyms. More defense will make it more difficult for other two teams to take control of a Gym. - Each Gym will have a Gym Leader who is in charge of setting the order of Pokémon that will be faced when the Gym is challenged. Team members will want to deploy their most powerful Pokémon to defend controlled Gyms. - Once a Gym is captured by an enemy team, the defending team will lose control of the Gym. Training Pokémon at a "lost" Gym will no longer be an option until that Gym is recaptured. - When an attacking Pokémon is defeated at a Gym it will need to be Revived and have its HP fully restored before battling again. - During Gym battles, Trainers have the option of using their Pokémon's Charge Move, Fast Move or attempt to Dodge the incoming attacks. - Pokémon with higher CP will do more damage in battle. - A player will gain XP for defeating Pokémon at friendly Gyms as well as enemy Gyms. - During battle, the Type of Move used and Type of Pokémon the move is used on will determine the damage multiplier of the attack. This is known as Type Effectiveness.